Which came first, the chicken or the mouse? Evolution has shaped ours and other species’ brains in distinct ways - part of what makes each species unique. Within the brain however, different functions evolve in different ways according to environmental demands and some functions are more conserved between different classes of species than others. One example of this is the need to adapt auditory function when tetrapods emerged from the water and began to live on land. 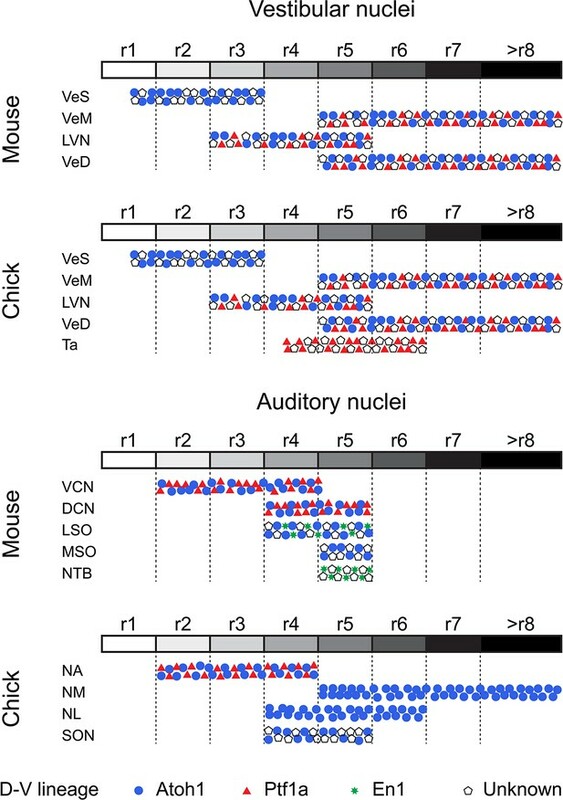 New findings from Marcela Lipovsek and Richard Wingate, published in eLife, show that although there is remarkable conservation of the developmental origin between the chick and the mouse, aspects of the auditory circuits are unrelated and such circuits in the chick emerge from an ancient vestibular network. In their captivating paper, Marcela and Richard used in ovo electroporation techniques with two conditional reporter constructs to visualise specific cells and progenitors. They then tracked the trajectory of these cells and progenitors with the assistance of enhancer elements and cut coronal cryosections to identify the anatomy of hindbrain structures. 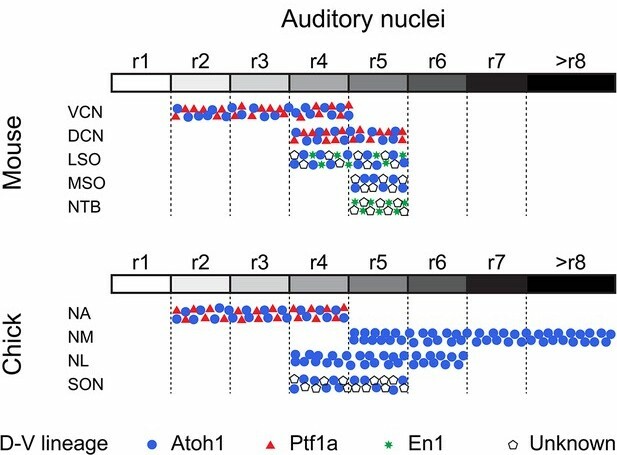 They successfully mapped the rhombic lip, ventricular zone and axial origin of the chick hindbrain vestibular and auditory nuclei, showing for the first time the origins of both systems by rhomberic identity and specific dorsoventral lineage. In the brainstem, both mammals and diapsids (a group that includes most birds and reptiles) have a circuit for sound localisation: an interaural time difference (ITD) circuit that appears superficially similar. Marcela and Richard compared the development of the ITD circuit between the chick and the mouse and found each species show a mixture or ancestral and de novo (derived) features. Their analyses indicate that this circuit in the chick emerged as an elaboration of an ancient vestibular network, unrelated to the mammalian counterpart. This research was supported by the Royal Society (grant NF120319).